Can you believe July 4th is next week?! If you are like me then you’re a tad behind. 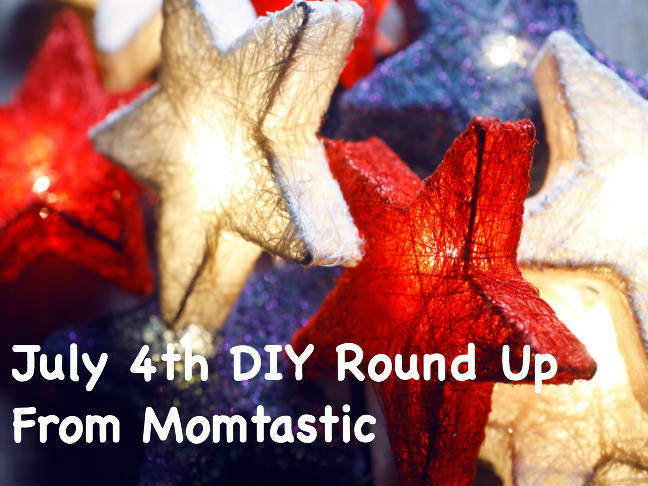 To help out I’ve rounded up our best July 4th DIY’s to get you in the spirit. Have fun and happy Independence Day! These are great for the littler kids, or very dry areas where fireworks are a no no. Not only are these great on the 4th but all summer long as well. Show your patriotic side while keeping that whip cream off your dress. Get the kids in the spirit with a star spagled shirt. This tote is festive for the day of and perfect for beach or pool toting the rest of summer.